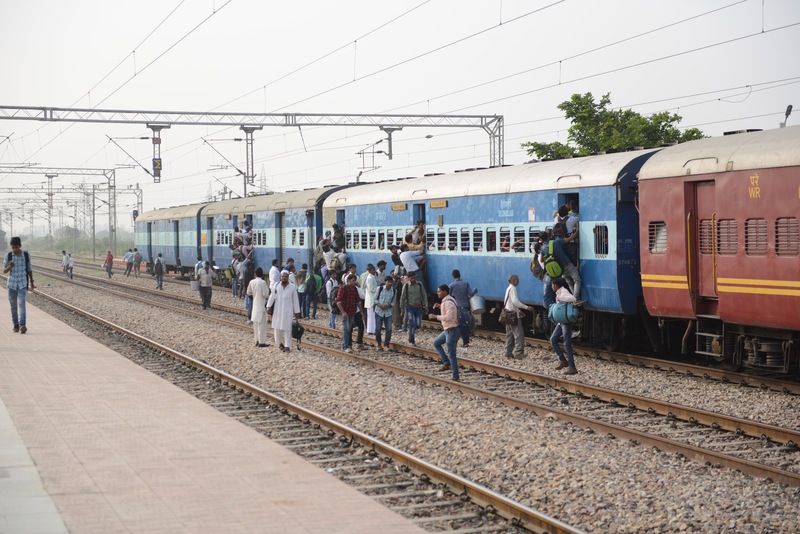 Some more thoughts as we travel around India, especially on their wonderful railways. To many in the West, any discussion about India is typically framed around the challenges the country faces – its corruption, its journey from a heavily regulated past, its crazy traffic habits and its lack of quality infrastructure. There seems to be the view that the more “westernized” it becomes, the better. However, from a number of angles India may in fact be better positioned for the future than we are in the West. Let me explain by starting with the astonishing traffic experience you get, right from the moment you leave the curb at Delhi Airport. From my British standpoint, it’s absolute madness: constant tailgating, cars meeting each other head on and only veering away at the last minute, incessant hooting (indeed their favourite saying is that to drive well you need good brakes, a good horn and good luck…). It is interesting that when you look at the road stats, deaths per capita are higher, but not that much higher, than the developed world (see WHO stats here). This is partly due to lower levels of car penetration, of course, but its also due to the serenity I was referring to in my last post: despite the truly acrobatic nature of much of the driving, I have yet to see a single instance of lost temper or panic, which is why most accidents happen. Their tolerance for constant road negotiation seems bottomless, whereas we act with brittle, puffed up anger at the slightest sleight. And, when you stand back at look at it, their traffic is astonishingly efficient at pushing the most through the smallest openings – it seems to imitate water through a course, rather than the prussian “keep your distance” protocols I was brought up on. That got me thinking: rather than trying to get robotic cars to imitate brittle westerners with their low boiling points, it would be much better for the machines to imitate the Delhi rush hour. The obvious point is that it would take some time for Westerners to get comfortable in this new, fluid world, whereas Indians would take to it like ducks to water. From traffic, you can get to other areas where India’s sometimes alarming framelessness is in fact its greatest strength. Many people have remarked that, given the advance of mobile telephone technology and the relative paucity of fixed line infrastructure, India is “missing out” that stage of development. But this is really only half the story: yes, they are making their calls on their mobile phones, but the real story is what else they are doing on them. Apps like Uber have opened up new avenues to match buyers and sellers of services, but this is causing severe indigestion in the rigid, “switched circuits” of the developed world, where value chains have ossified into tightly delineated, company intermediated exchanges where most Westerners have managed to avoid the indignity of having to pitch (and possibly fail) for business. Cue attempts by Western courts to hem the new technology into old cast iron cages of twentieth century labour relations, like insisting on a saddle in a car. Good luck with that. India, by contrast, is already the ultimate “gig economy” where value chains form and reform with great flexibility, allowing the real economy to operate at digital speed, the challenge facing everyone in the twenty-first century. Of course, this is not to say that India, like all nations, does not face any serious challenges. Any visitor will be struck by their levels of poverty, and despite my protestations about their driving, 140,000 are killed on the roads each year. However, they possess great strengths, and it remains to be seen whether that brittle Western ego that prevents us from enduring the tiniest roadside affront will also deign to see what we can learn from them. If so, it is truly an Eastern future.